Slime is having a moment. 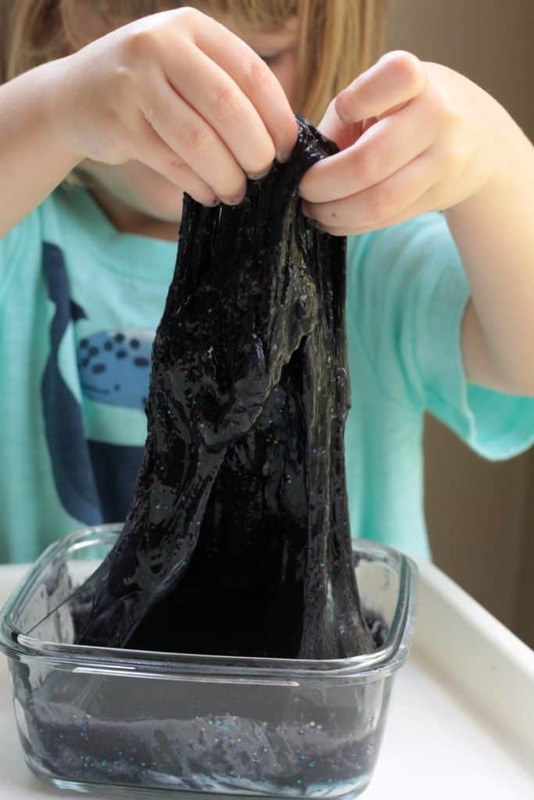 Kids of all ages are having a blast making and playing with stretchy, stringy slime. 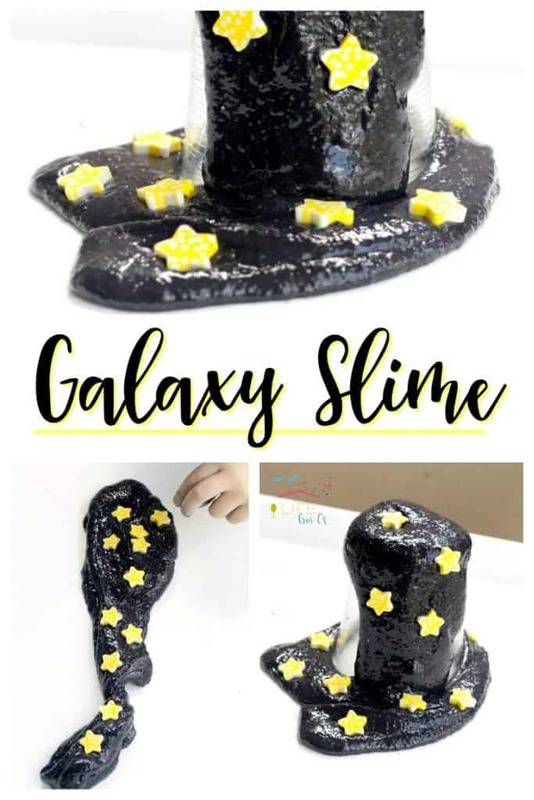 This galaxy slime recipe uses the traditional Borax powder, which gives the slime a bouncy, firm texture. The slime breaks a little easier than if you use laundry starch, but the firmer texture means it is less messy for kids. As Borax is a chemical, do not make this slime recipe for any child who would be likely to try and eat the slime. Always have kids wash hands after playing with slime to prevent any ingestion of the Borax powder. 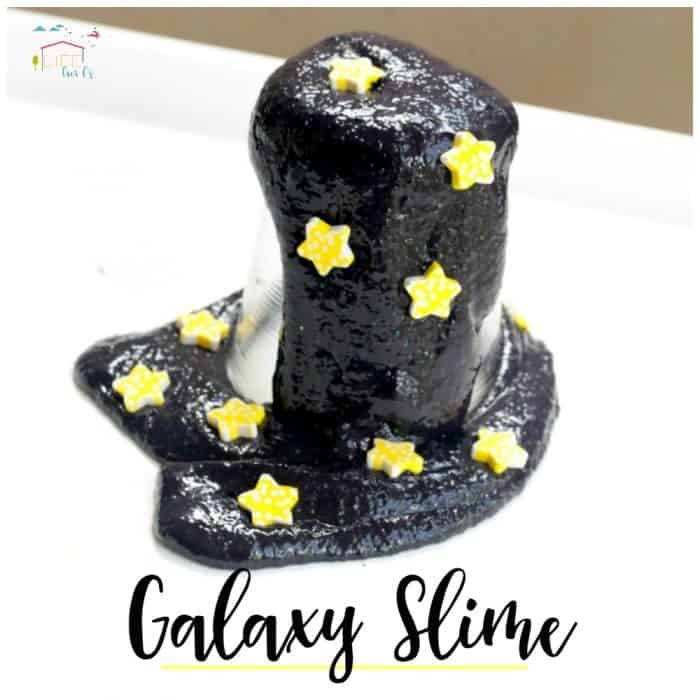 This Galaxy slime would pair perfectly with learning about the night sky! 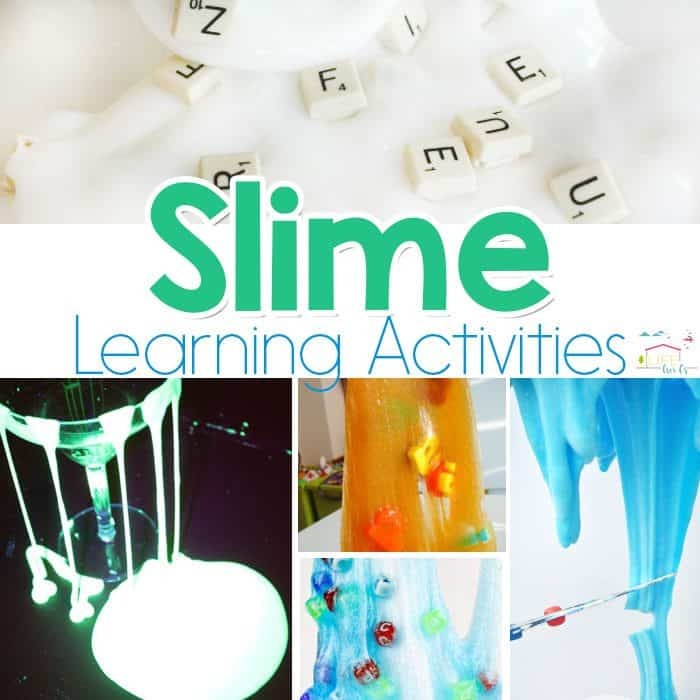 Check out these other awesome slime learning activities! Please note: some kids seem to be extra sensitive to Borax powder, giving them red and itchy skin. If you notice any redness on your child or they complain of itchy skin while playing with Borax slime, try a Borax-free slime instead. 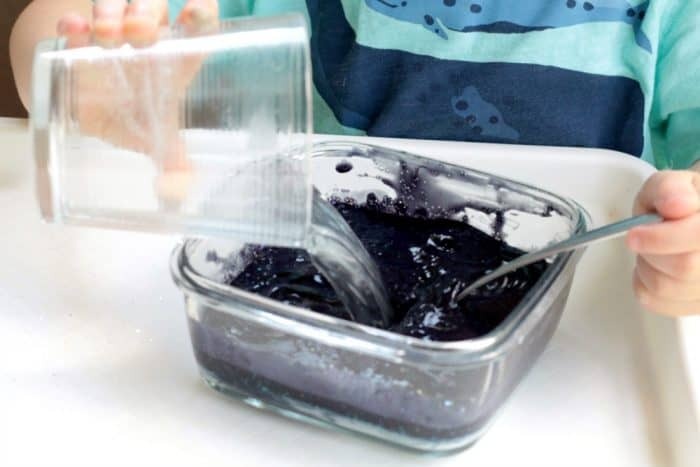 Mix one 4 ounce bottle of white glue with 1/2 a cup of water and enough black dye to dye the glue completely black. At first, our slime looked purple until we added more black dye to it. Add white glitter to your glue mixture for background sparkle. 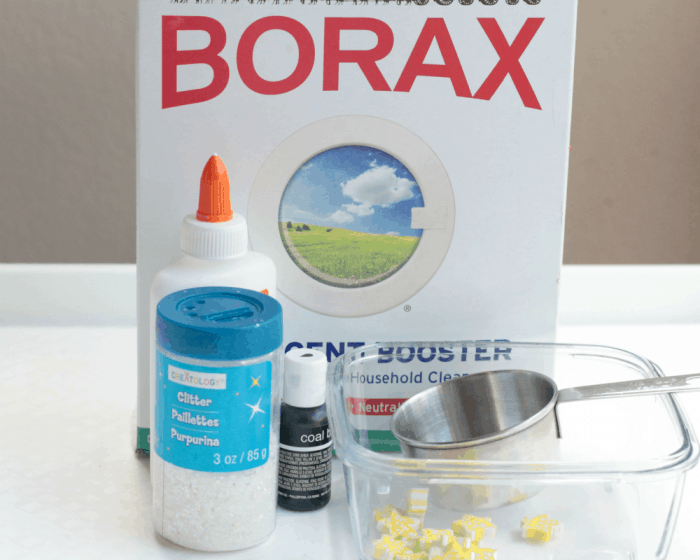 Mix one cup of warm water and one teaspoon of Borax powder until dissolved. Pour the Borax solution into the glue solution. Stir with a fork until completely combined. Work the slime between your hands until it is completely dry and no longer sticky (check for hidden glue pockets). 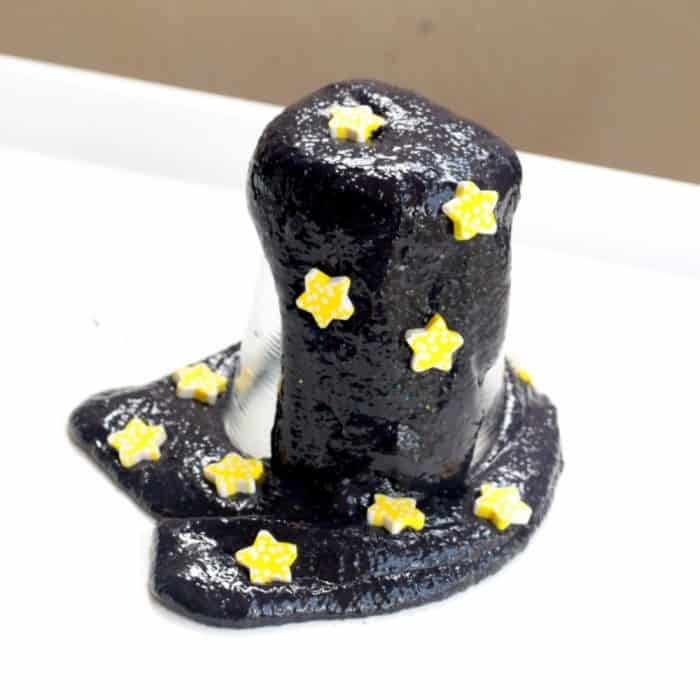 Add stars to your galaxy slime and you are ready to play! Make this slime more educational by talking about how slime is made. When glue mixes with Borax powder, polymer chains form between the two mixtures, creating stretchy slime. 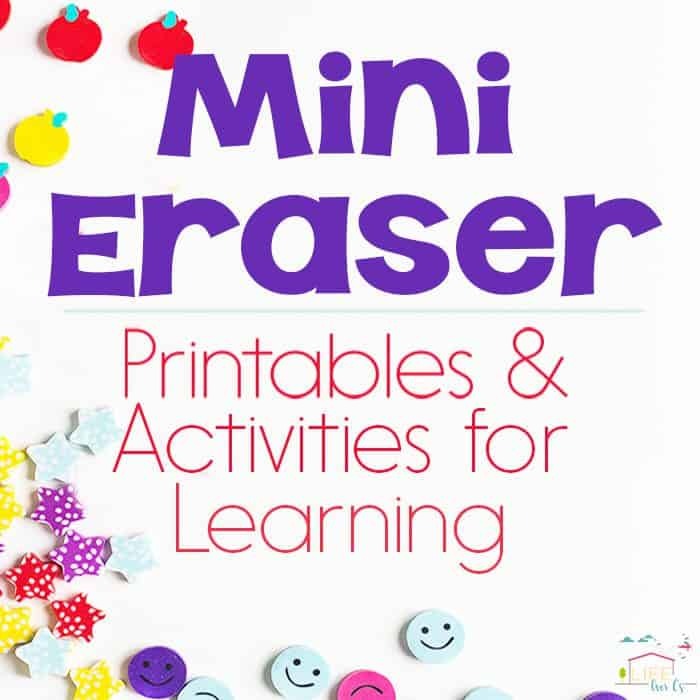 Little ones will also enjoy counting the number of star erasers in the slime.